The black LensCoat TravelCoat for Nikon 600mm f/4E FL ED VR Lens is a 3mm thick closed cell neoprene that is specifically designed to fit over the lens without its hood attached, and once the shock-absorbing TravelCoat is on, it is secured via the hook-and-loop closure. 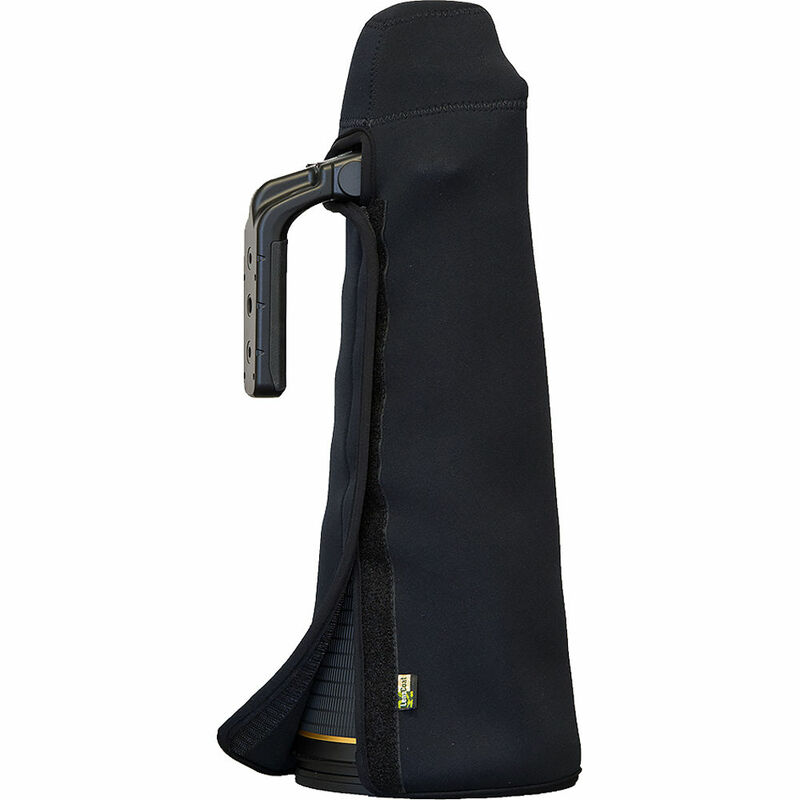 Therefore, it protects the finish of the lens during storage or transport. Box Dimensions (LxWxH) 18.6 x 8.2 x 2.3"
TravelCoat for Nikon 600mm f/4E FL ED VR Lens (Without Hood, Black) is rated 1.0 out of 5 by 1. Rated 1 out of 5 by Bruce from Velcro was sewn on the wrong side of the flap The Lenscoat TravelCoat for the Nikon 600mm lens came with the Velcro sewn onto the wrong side of the flap and so the hooked side only comes in contact with the neoprene material. As this is a special order item it cannot be returned even though it is defective.